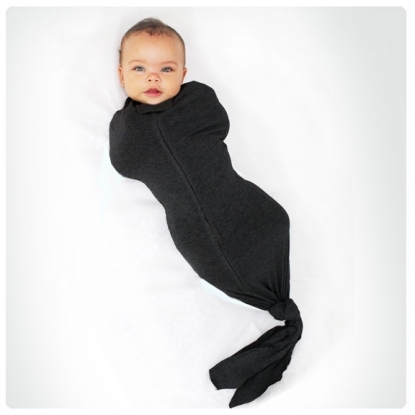 Safe, stylish swaddling that instantly makes little ones totally cozy and looking totally fabulous. 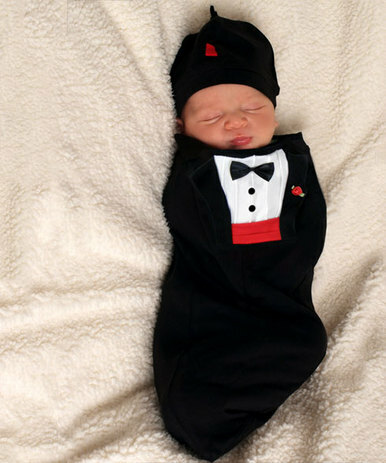 Simply slip on and get going to your special event. 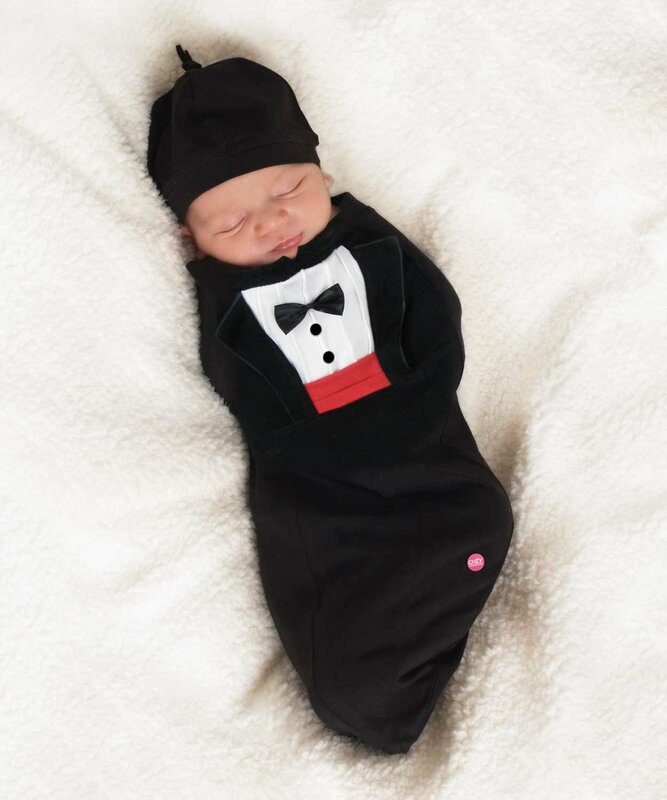 Set comes with Tuxedo Cozy Cocoon and matching Tux Hat. Back side is complete with adorable little tuxedo tails! Hand-made with great detail. 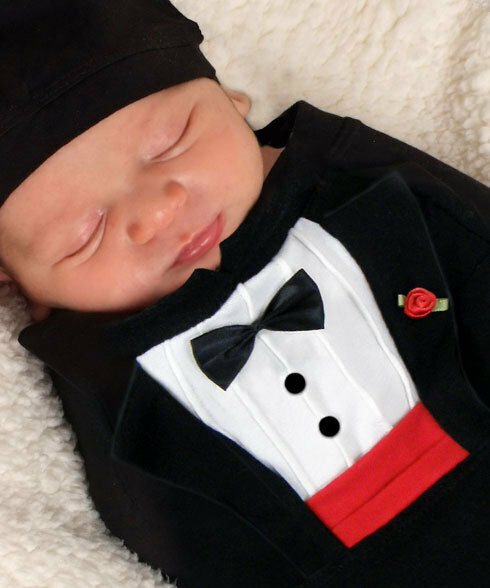 Includes cumberbund, lapel rose, pin tucks, bow tie and tails. Designed and hand-sewn in the USA. Set comes with matching hat. Appliqué as pictured.